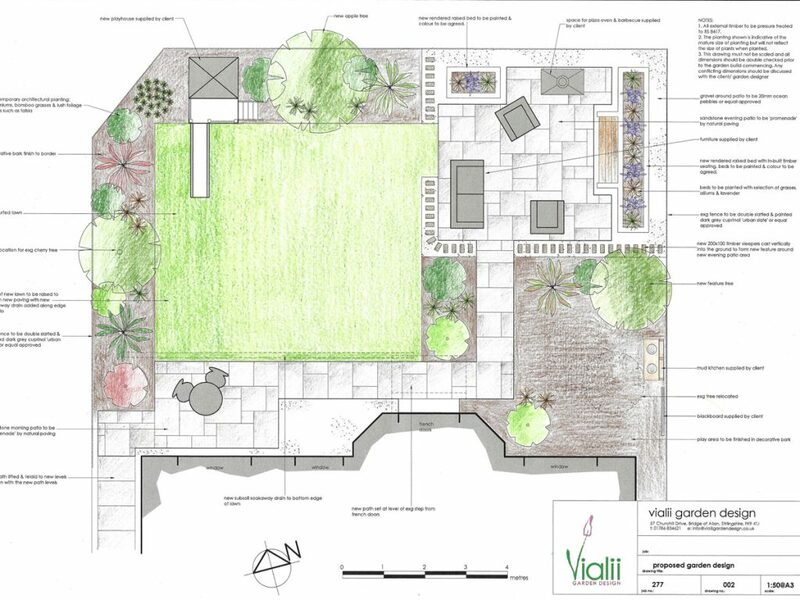 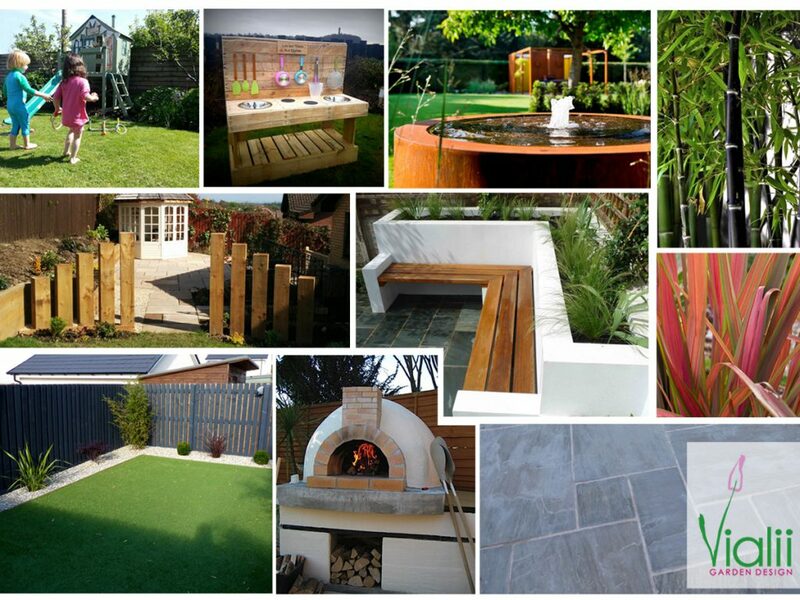 Our clients were uninspired by their existing garden. 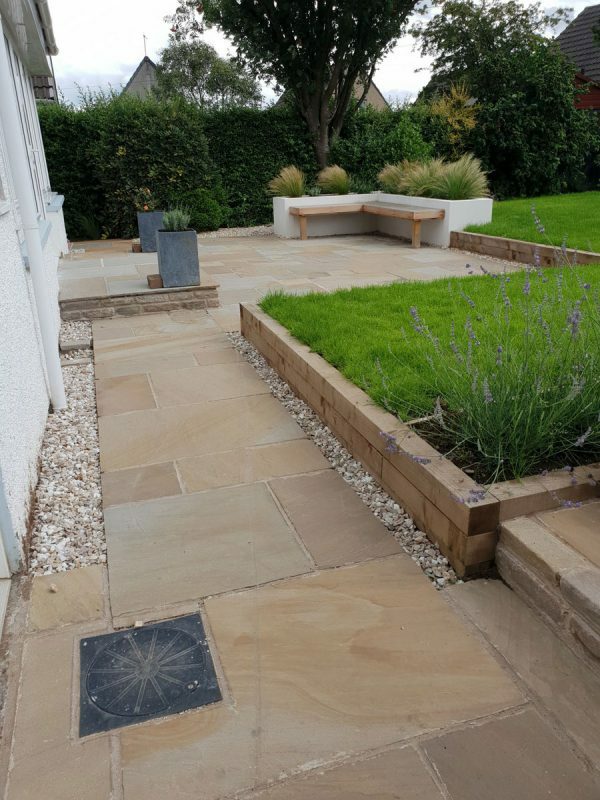 There were issues with levels of paths and there was no real seating area in which to relax and enjoy the garden. 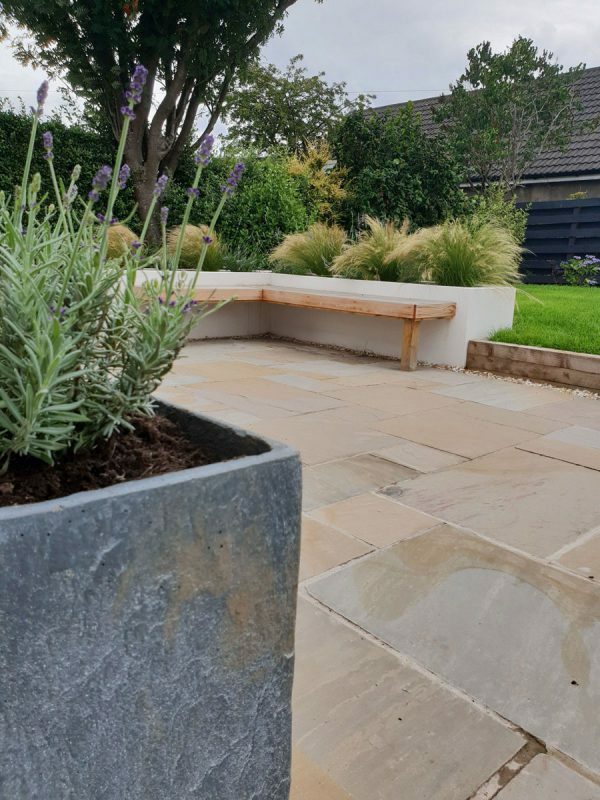 They wanted a new patio with in-built seating, beautiful fragrant planting and a contemporary look whilst still creating a warm and welcoming feel to the garden. 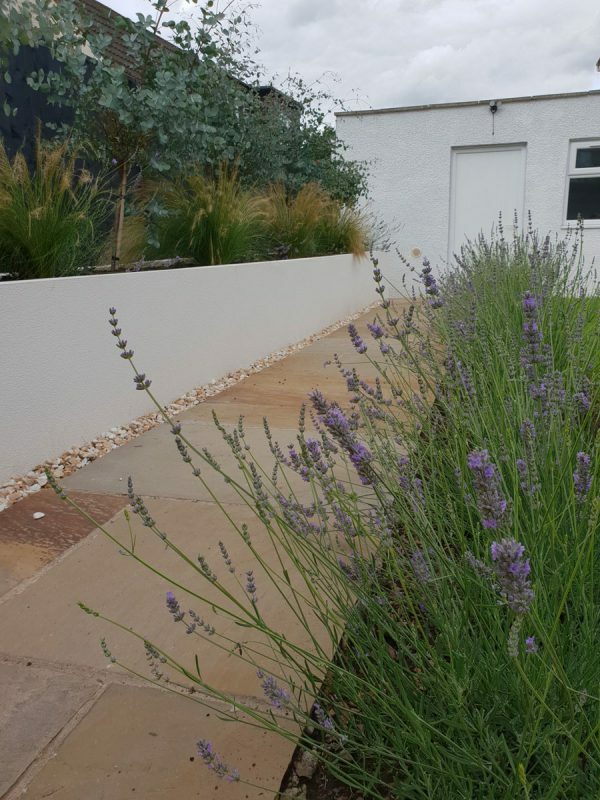 We decided to create a lavender retreat! 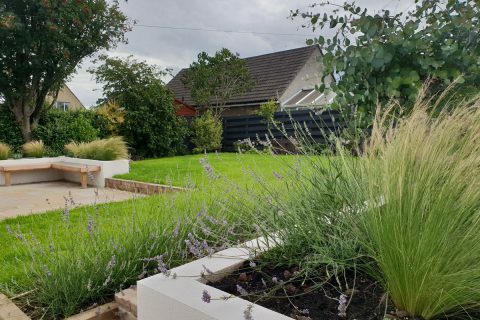 "Our garden is looking fabulous! 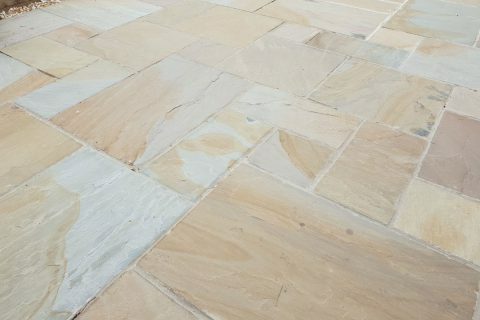 Thank you for listening to us and giving us what we had not been able to achieve, without you." 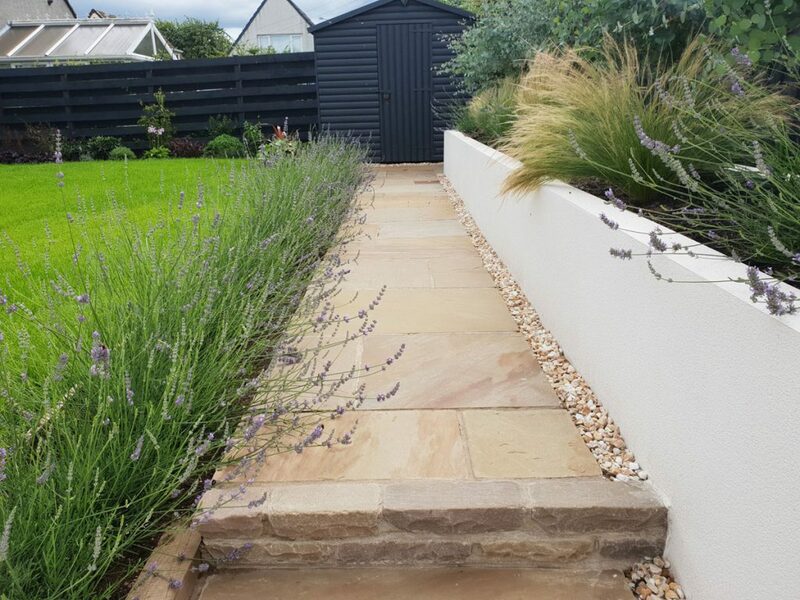 The existing garden was sloping slightly so we added in timber sleepers to retain the main patio and create a flatter lawn area. 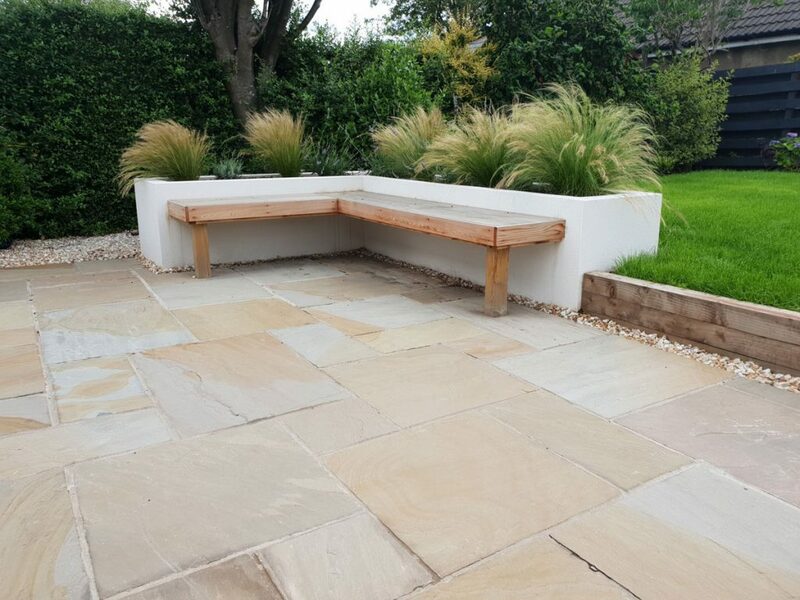 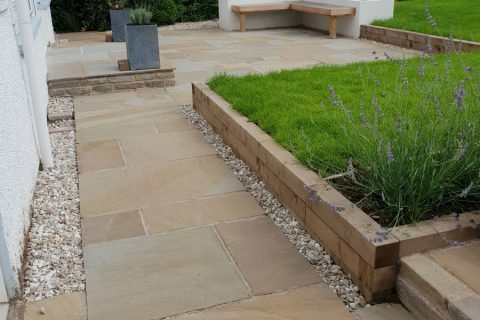 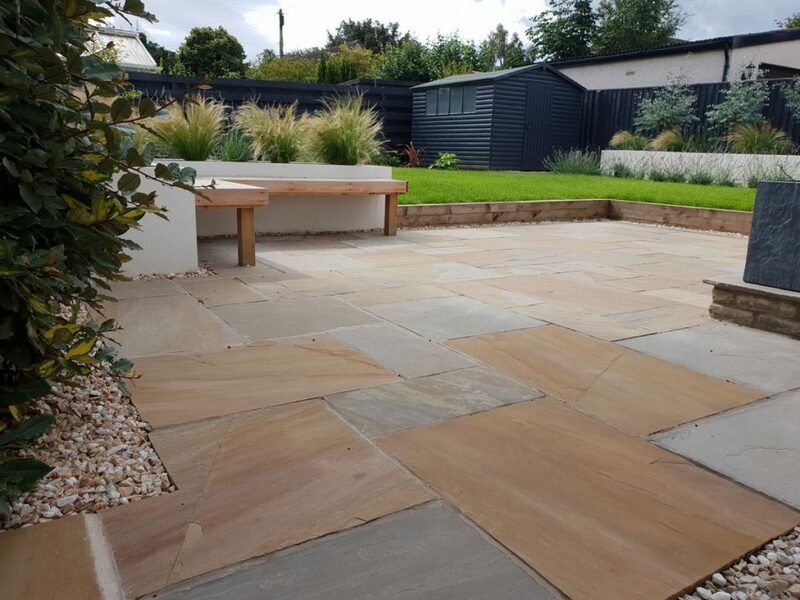 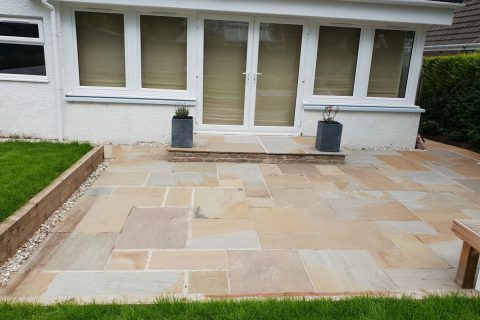 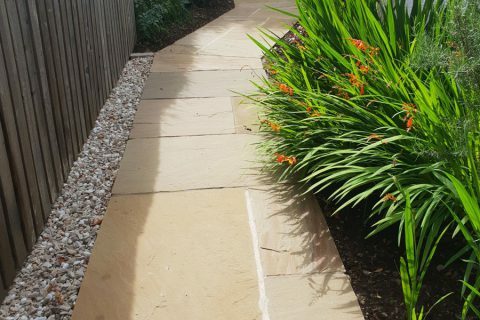 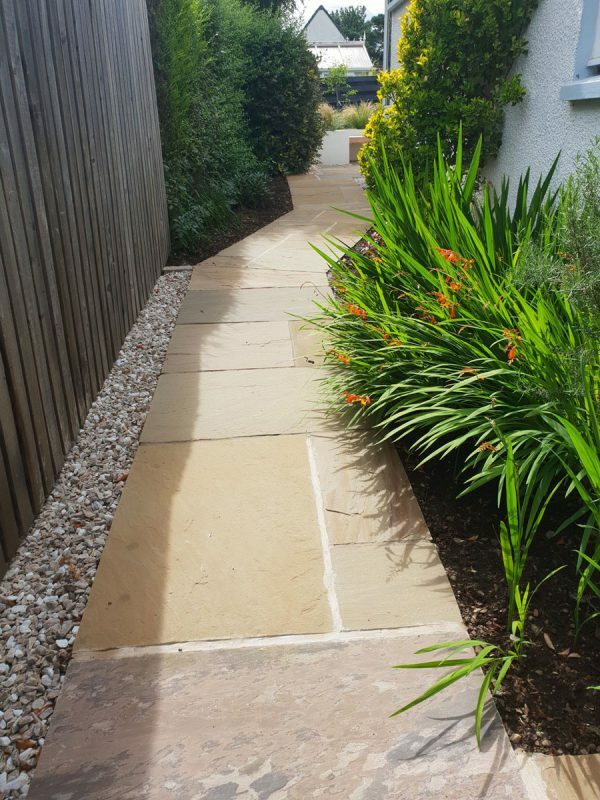 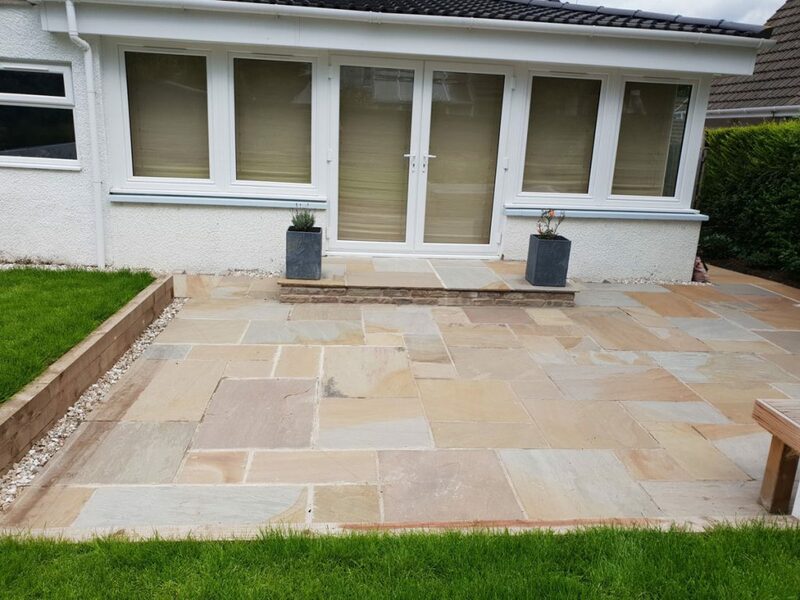 The large sandstone patio was created using “Harvest” sandstone paving creating a warm, welcoming look. 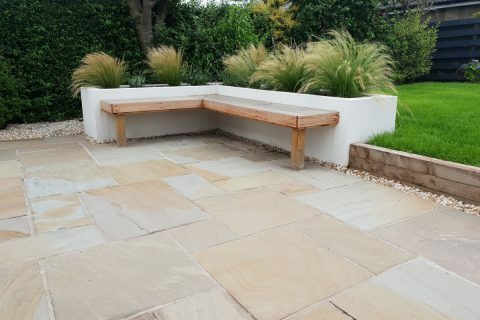 A bespoke in-built seat means that the clients can relax in the garden all year round. 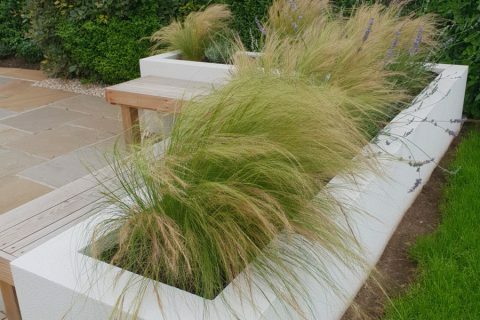 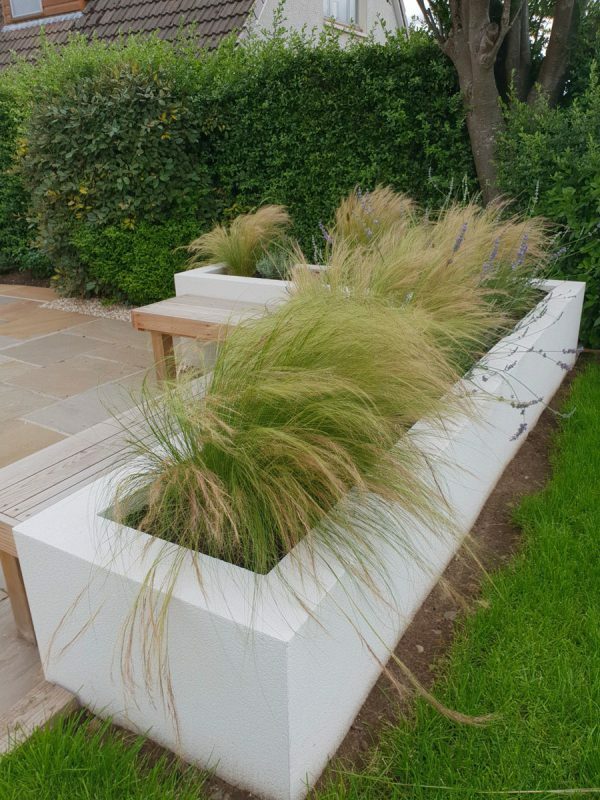 The white, smooth render finish creates a contemporary look and the planters were filled with soft grasses and lavenders, adding texture and fragrance. 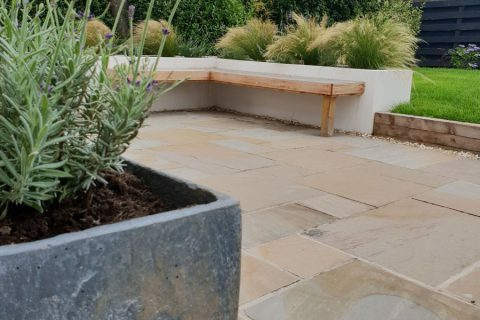 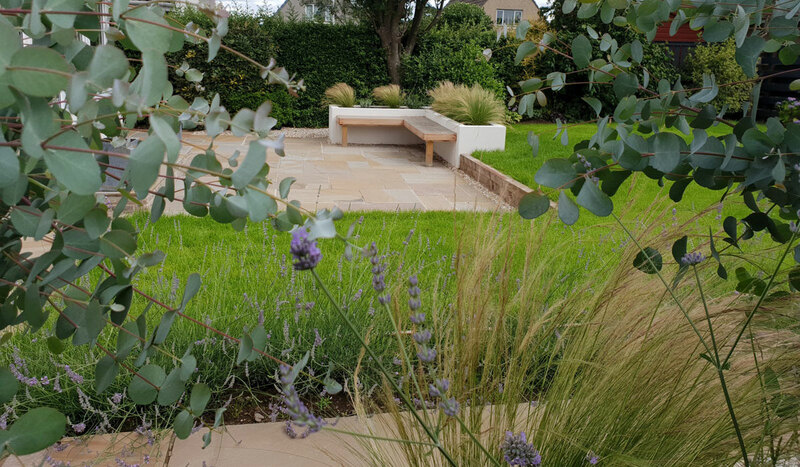 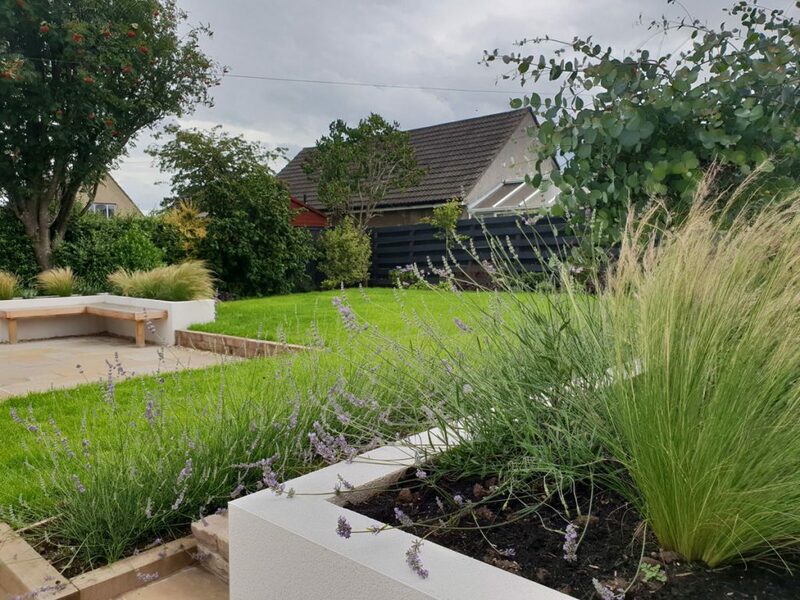 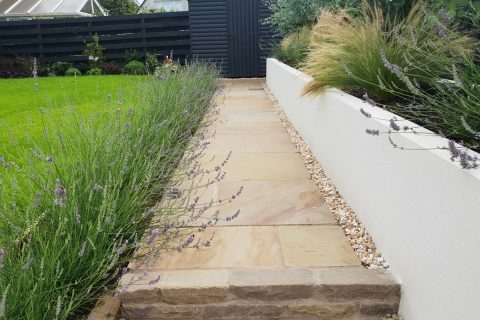 The existing raised bed at the opposite end of the garden was re-built and finished in the same render and planted with standard eucalyptus, grasses and lavenders creating a contemporary yet soft look. 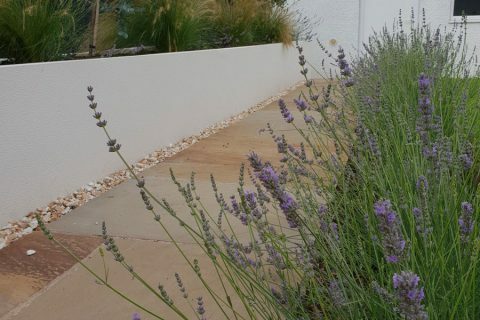 Beside the sandstone path here, a lavender hedge was planted creating a beautiful and fragrant walkway. 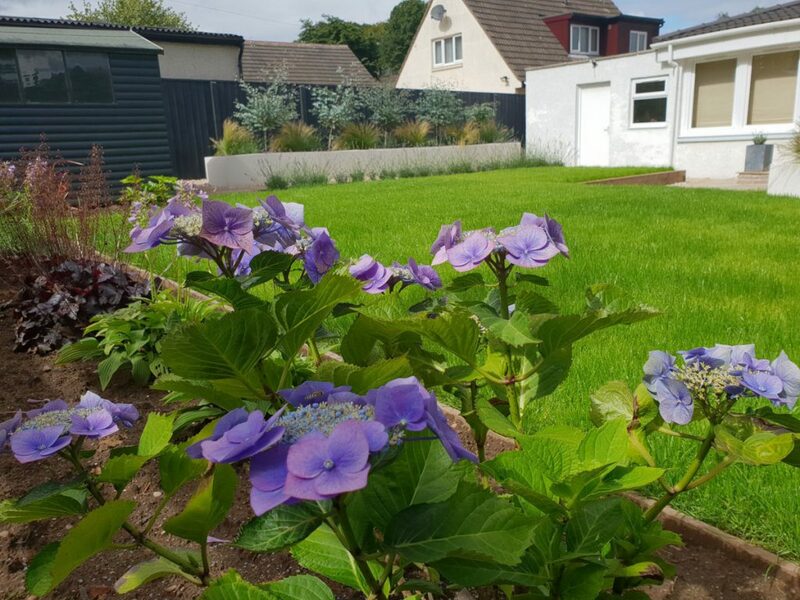 The planting around the lawn is a mix of beautiful shrubs including hydrangea, ceanothus, amelanchier and cornus kousa. 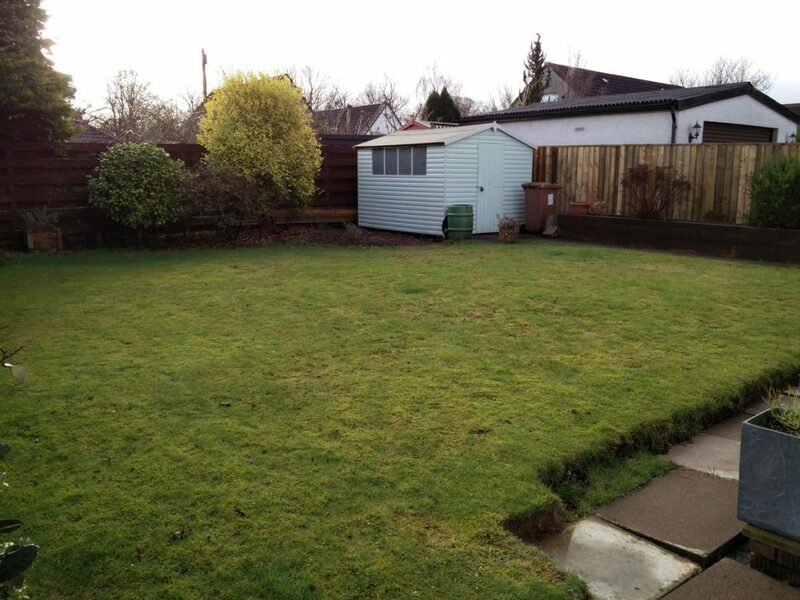 The newly planted lawn finishes off the garden beautifully. 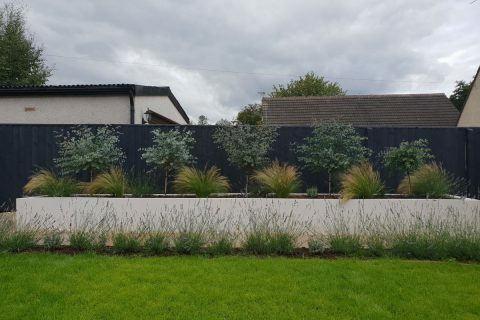 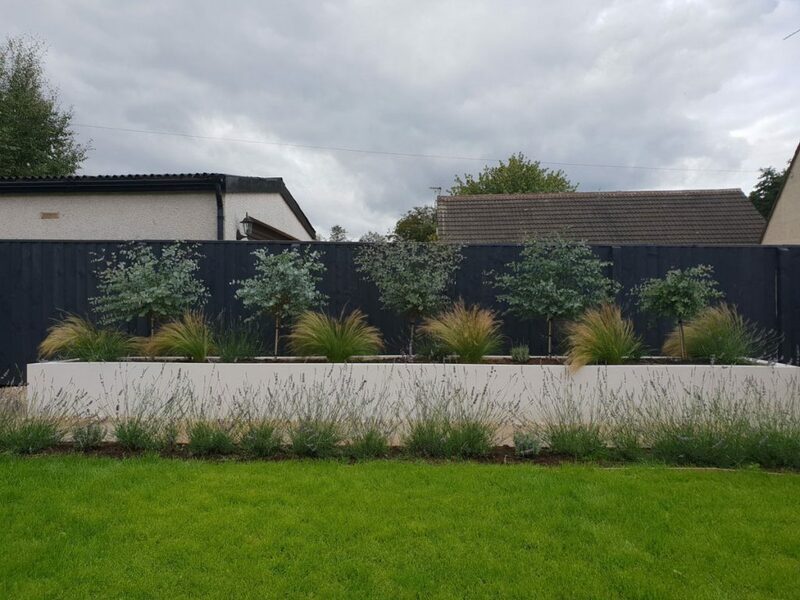 The existing shed and fencing were painted Urban Slate grey to create a uniformed and contemporary look as well as being a wonderful backdrop to the new planting.